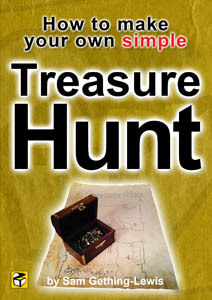 Puzzles for your treasure hunt or scavenger hunt. Each clue should lead to the next. Do not make the scavenger hunt questions too hard, otherwise the trail will fail, but do make the clues tough enough to challenge your specific participants feel clever and experience a satisfying sense of achievement. Five feet and a head, eyelids like lead. Don’t go inside unless you want to get fried. You’d be a fool if you were this cool. I’ve tap to be seen while you’re getting clean. Head out to the shack of wood in the back. Two taps and a bowl are your clue goal. The <bedroom> I go to make it all glow. so can anyone help me make my own treasure hunt which is related to my technical skils…?plzzzzzzz…. I an searching for same??? ?